An autobiographical coming-of-age novel by the the “only gay man” in Morocco. An autobiographical novel by turn naïve and cunning, funny and moving, this most recent work by Moroccan expatriate Abdellah Taïa is a major addition to the new French literature emerging from the North African Arabic diaspora. Salvation Army is a coming-of-age novel that tells the story of Taïa's life with complete disclosure―from a childhood bound by family order and latent (homo)sexual tensions in the poor city of Salé, through an adolescence in Tangier charged by the young writer's attraction to his eldest brother, to a disappointing arrival in the Western world to study in Geneva in adulthood. In so doing, Salvation Army manages to burn through the author's first-person singularity to embody the complex mélange of fear and desire projected by Arabs on Western culture. Recently hailed by his native country's press as “the first Moroccan to have the courage to publicly assert his difference,” Taïa, through his calmly transgressive work, has “outed” himself as “the only gay man” in a country whose theocratic law still declares homosexuality a crime. The persistence of prejudices on all sides of the Mediterranean and Atlantic makes the translation of Taïa's work both a literary and political event. 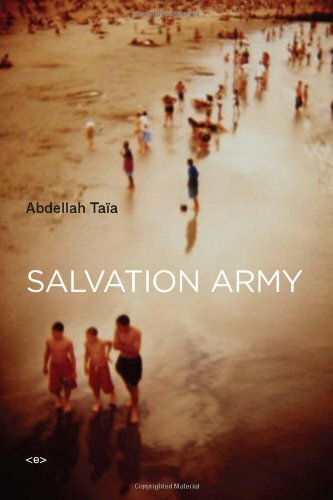 The arrival of Salvation Army (published in French in 2006) in English will be welcomed by an American audience already familiar with a growing cadre of talented Arab writers working in French (including Muhammad Dib, Assia Djebar, Tahar Ben Jelloun, Abdelkebir Khatibi, and Katib Yasin). If you have any questions about this product by Semiotext(e), contact us by completing and submitting the form below. If you are looking for a specif part number, please include it with your message.